An 80-year-old man from a small town in India once told me that when he was a teenager, he earned 10 cents a week. There was a jukebox in his village with two Elvis records in it, and each play cost five cents. Every Friday night, he spent his entire weekly wage listening to Elvis. At 24, I was a former Army brat who never stopped moving from city to city. After college in Philadelphia and a short stint in Phoenix, I was ready to land in a place that felt like home—somewhere I actually wanted to stay for a while. I’m originally from Appalachia, and I knew I needed to get back to the South. After all, that music informed my childhood. My early days were rich with Americana record players that played through fuzzy, blown-out speakers as my father yelled the names of the musicians over their songs. “James Burton!” “Carl Perkins!” “Johnny Cash!” In their own way, these musicians would become like gods to me. In 2004, I was 22 and obsessed with both the blues and the biblical narrative of Robert Johnson. Naturally, this led to a musical road trip through the South. My then-boyfriend and I headed from Philadelphia to Nashville’s country and folk music museums, then explored the rock ‘n’ roll and soul of Memphis. In Mississippi, we delved into the Delta Blues, soaked up New Orleans’ jazz and its pre-Katrina vibe, then made our way through Texas. When we finally landed in Arizona, I stayed for a whole year and a half, but I couldn’t seem to get Memphis—or its music—off my mind. When it was time to move on, my decision was easy: On Dec. 26, 2006, I hopped on a bus in West Virginia and embarked on an 18-hour ride to Memphis. After I found a place to live with a childhood friend, I got a job working at a Midtown bar. One day, I called Sun Studio on my flip phone and asked if they were hiring. As serendipity had it, I would end up working at Sun Studio for nearly a decade. My first live music experience as brand-new Memphian came only a few days later in the form of the Reigning Sound on New Year’s Eve. On that freezing night, the Hi Tone on Poplar Avenue was so packed with fellow Memphis music lovers that I could barely move in the crowd. I knew I was home. I went on to experience the likes of Alex Chilton, Rufus Thomas, Mud Boy and the Neutrons, Blackrock’s “Yeah, Yeah,” Tommy Burk and the Counts, Otis Clay, Wayne Jackson and so on. I devoured every piece of Memphis music that I could find—or that found me—and I fell deeply in love. I became obsessed with figuring out what made it possible for artists to create so much magic in this city, and for decades, historians and music academics have been pondering the same question. Why did all of this happen in Memphis? Geography? Economy? Agriculture? Boredom? The variables that influence art seem to be immeasurable. Eleven-plus years later, the Stax Museum of American Soul Music is my professional home. I continue to enjoy the opportunity to speak on our great city—the joy and comfort that its music has brought to cultures near and far, its effects on social and civil rights, and the fact that we still have so much art to make here. Some of our visitors don’t speak the language. Some weep because they waited their entire lives to be here. Some are fulfilling a bucket-list quest. 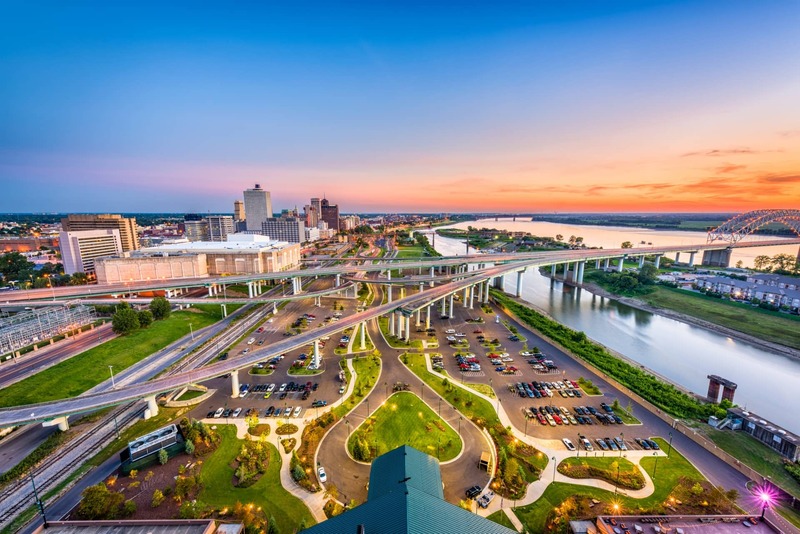 Some are here to answer the question, “Why Memphis?” But all are eager to celebrate and experience not only the city itself, but the cultural imprint that Memphis has left on the world. For all things Memphis, check this out!